Last Sunday, October 28, the final was played by teams of the Spanish Championship by Team 3 * Absolute category between the MDZ Tennis Academy Club and the Club Alba de Tormes of Salamanca, winning our Murcia tennis players by a 4/1. 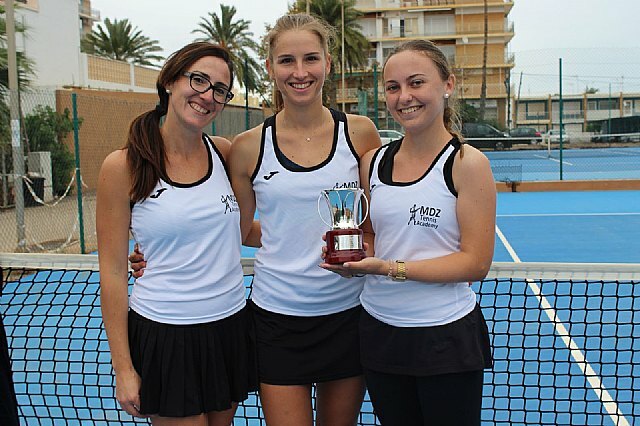 This team from Murcia is composed of 3 tennis players Totaneras Ana Heredia, M.Angeles Victoria and Patricia Salas. Being in turn the captain M.Angeles Victoria, great player and better person. With this victory the team is proclaimed Champion of Spain by teams and ascends to second for next year. The desire and the heart of these players have taken this year to take this national title, since the Salamanca were great rivals. From here they thank their club for the help and support they receive from the entire technical team and the trust they have placed in them. They affirm that they will continue working to give the best of them in this beautiful, sacrificial and rewarding sport.